OHIO – The Bunch Blog! 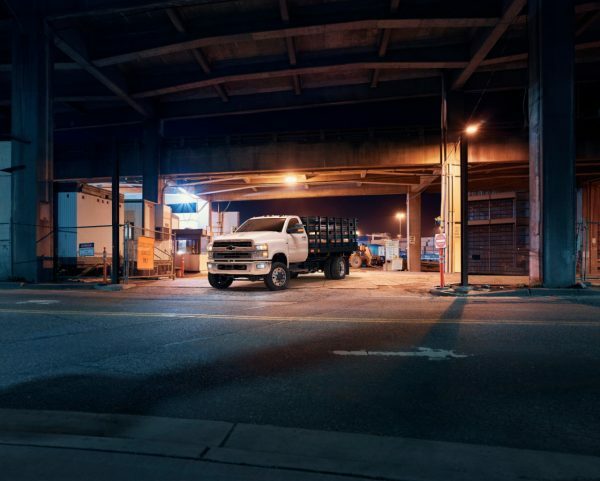 DETROIT – Harmony Outdoor Power Equipment in Auburn, Indiana, is the first small business to take delivery of the new Chevrolet Low Cab Forward truck. Owner Don Harter said he replaced his Isuzu NPR with a Chevrolet Low Cab Forward partly because the lack of Isuzu dealerships in the area made it difficult for him to service his old truck. Harter chose a diesel powertrain to pull a custom-designed bed with a ramp. The business uses the truck nearly every day to deliver heavy outdoor equipment to customers, and with more than 5,000 miles on the Low Cab Forward already, the investment is paying off. 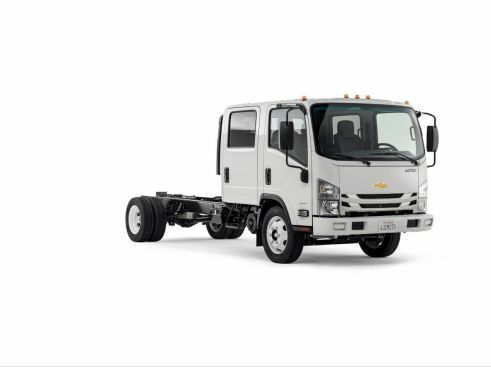 The Chevrolet Low Cab Forward with a diesel engine starts at $48,375 and the gasoline engine version starts at $40,900. Low Cab Forward suggested MSRPs include a destination charge but exclude tax, title, license and dealer fees. Harter ordered his Chevrolet from Summit City Chevrolet, one of more than 250 Chevrolet dealerships across the country that sell and service Low Cab Forward trucks. Harter took advantage of a new GM Financial commercial lease product called Right TRAC that can lower monthly payments with flexible residuals and no excess mileage and wear-and-tear charges. 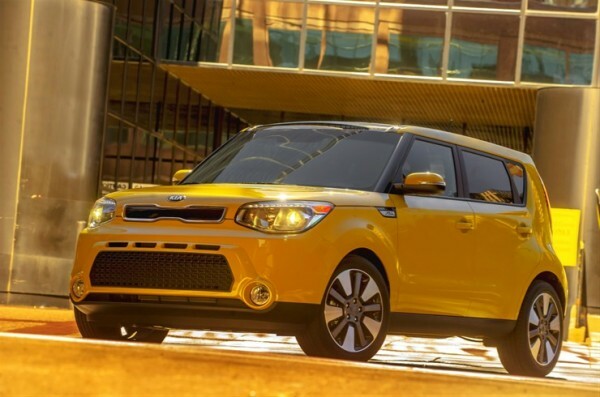 IRVINE, Calif., May 18, 2015 – Kia Motors America’s (KMA) popular urban hatchback, the 2015 Soul, is one of the 10 Coolest Cars Under $18,000 in 2015, according to Kelley Blue Book’s KBB.com. This year marks the fourth consecutive time Soul has been recognized by the editors at KBB.com, and similar to last year, Kia’s fun-and-funky urban runabout ranked among the top three on the annual list, which highlights the hippest and most affordable cars on the market. Editors at Kelley Blue Book once again included the Soul for its stylish looks and tech-savvy content. With a base price of $15,1901, the Soul offers flexible interior configurations and a unique exterior design with a wide array of available features at a great value. New for 2015 on the Exclaim model is an available interior Umber Color Package, which is available with either the Fathom Blue or Cloud White exterior colors. Included with the option package is premium Nappa leather seating surfaces and door armrest accents. Outside, Gloss Black wheel inserts further set the Umber Color Package apart. The 2015 Soul is offered in three trim levels: Base, Plus and Exclaim. Motivation for the Base Soul is delivered by a gasoline direct injection (GDI) 130-horsepower (at 6,300 rpm) 1.6-liter all-aluminum DOHC four-cylinder engine. The GAMMA engine produces 118 lb.-ft. of torque at 4,850 rpm. The Plus and Exclaim models enjoy the more powerful 2.0-liter NU power plant with GDI technology. Power is rated at 164 horsepower at 6,200 rpm and 151 lb.-ft. of torque at a 4,000 rpm. The 1.6-liter engine is mated to a six-speed manual transmission or an optional six-speed automatic. The Plus and Exclaim models are available exclusively with the six-speed automatic gearbox.